But Costa isn’t just trying to convince progressive voters in Pennsylvania state House District 21 to vote for him, he is also courting Republican voters. 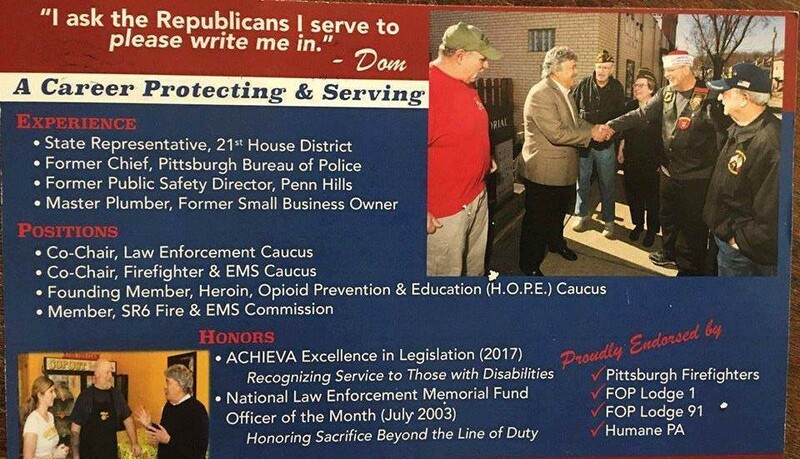 A copy of a mailer obtained by the Pittsburgh’s Democratic Socialists of America, and shared with City Paper, shows that Costa is asking Republican voters to write in his name on the ballot. If Costa were to receive 300 Republican write-in votes, his name would appear on the November general election ballot, even if he lost the primary election vote to Democratic challenger Sara Innamorato. 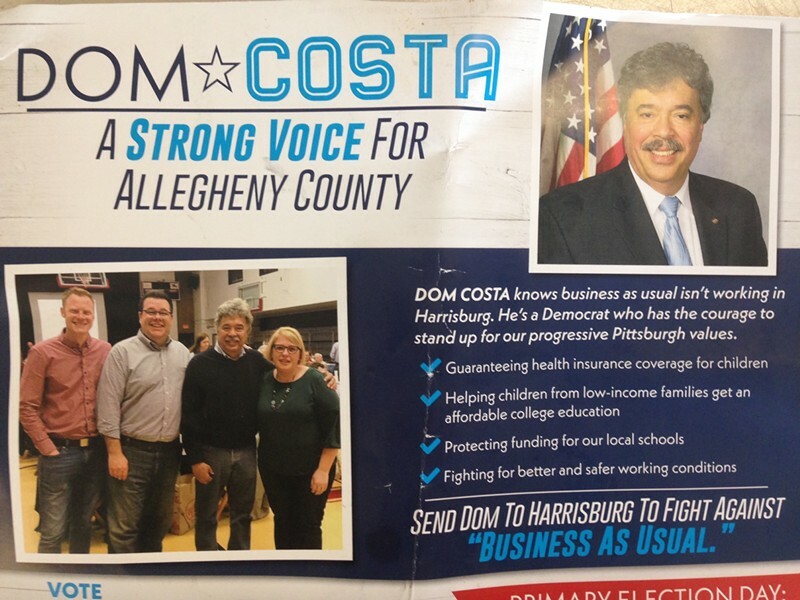 Despite the contradicting messages, Costa’s campaign defends the GOP mailer. 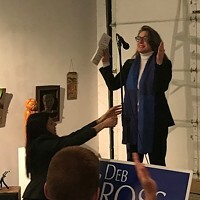 "Of course Rep. Costa is proud to be a Democrat, but he is even prouder of creating a district where constituents feel like family," wrote the Costa campaign in May 9 statement to the Pittsburgh Post-Gazette. 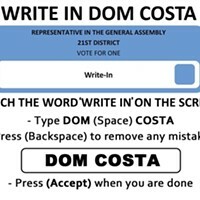 "Rep. Costa's decision to mount a Republican write-in campaign is not some underhanded political maneuver. He desires to win both nominations, unite the people of the 21st District and continue advancing policies that help everyday Pennsylvanians." It’s not uncommon for state representatives to try to get enough write-in votes so they appear on the other party’s ballot. Pennsylvania Speaker Mike Turzai (R-Marshall) attempted this in 2016, and state Rep. Hal English (R-Hampton) regularly does this to get on the Democratic ballot. However, it’s unclear how common it is to try to get on the opposing party’s ballot when a candidate is facing a challenger within their own party. Typically, candidates, like English, are unopposed in the primary election, and get enough write-in ballots to stave off an opposing party challenger come November. 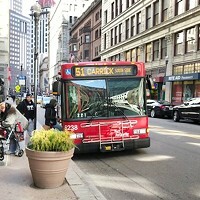 At least one prominent local Democrat condemns the strategy. Jim Burn is the mayor of Millvale and the former chair of the state Democratic Party. (He also endorsed Innamorato in April.) There's an argument that Costa could be covering his bases with this attempt, but Burn indicated that turning your back on the Democratic Party to do this is unacceptable, especially given that the Allegheny County Democratic Party endorsed Costa for this election. “‘Covering Bases’ is an unacceptable justification when it means you are prepared to walk away from the Democratic Party whose support you solicited and endorsement you received because you are losing in a Primary,” tweeted Burn on May 9. The Pennsylvania primary election is on May 15.